Motherhood…I am in the generation that is blessed to have both a mother who is still with us (now 89) and a grown daughter who is a mother of a five-year old. 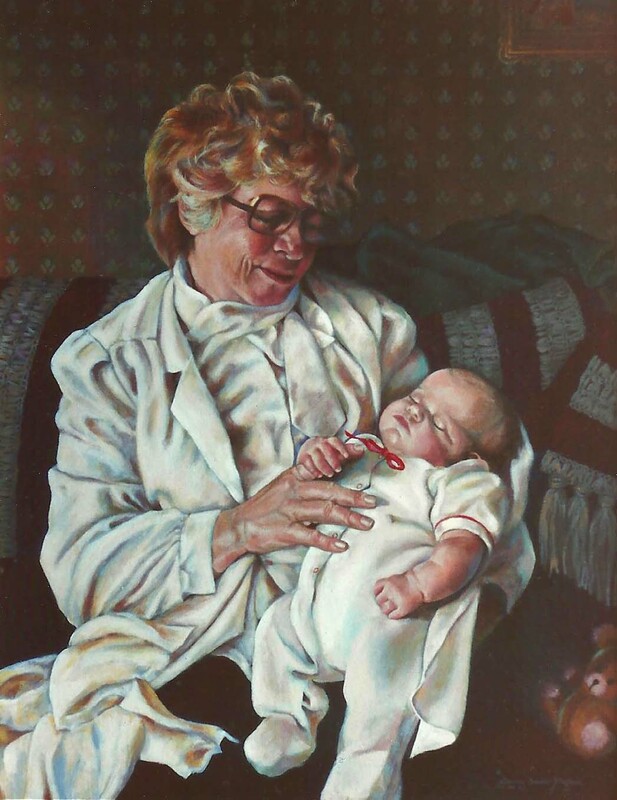 This painting which I did many years ago is of my mother and daughter when she was a just an infant. Artistically, although it is a color painting, I concentrated on the black and white quality, the values and all the subtle colors that are in the shadows. Is there anything so wonderful as watching one’s mother adore your child? It’s a moment when we know the blessings and diversity of generations is by God’s design and magnificent to witness. It’s a moment I wanted to capture forever, and paintings are one way to give permanence to that which is so important to us.